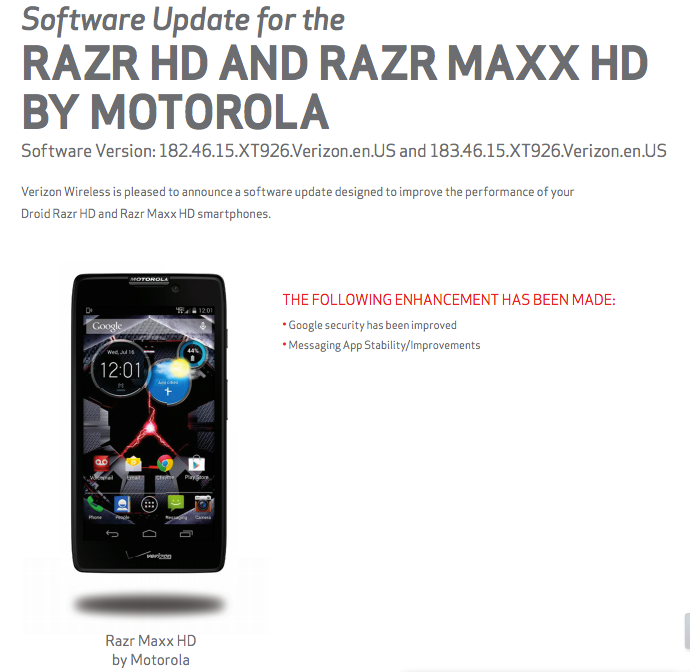 A minor update is being pushed to owners of the RAZR HD and RAZR MAXX HD on Verizon, version number 182.46.15. The update is quite small, with only two things being listed on the official changelog released by Verizon. Included in the update is “improved” Google security, as well as improvements to the standard messaging application found on the device. No further details are listed, so while it is rather vague, it’s something. If you own either of these devices, be on the lookout this week. 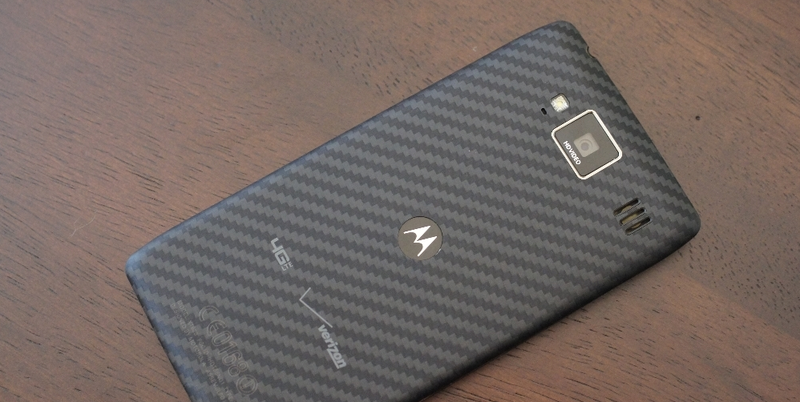 Update: RAZR M is receiving the same update today. Tuesday Poll: Better Looking Watch - Apple Watch, Moto 360, or G Watch R?